Thats all. 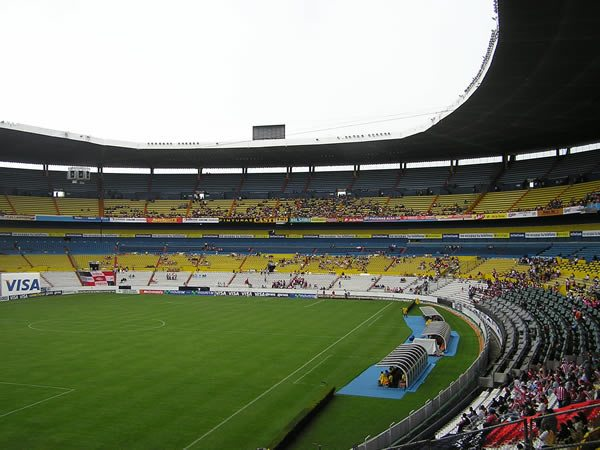 Game finished - Atlas 0, Pachuca 0. 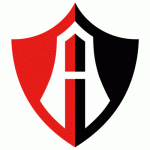 Second Half ended - Atlas 0, Pachuca 0. Corner - Pachuca. Conceded by Ismael Govea. Substitution - Atlas. Edyairth Ortega for Ían Torres - injury. Delay in match Ían Torres - Atlas - - injury. José Ávila - Atlas - won a free kick in defence. Substitution - Atlas. José Ávila for Ulises Cardona. Missed chance. Leiton Jiménez - Atlas - shot with the head from the centre of the box goes high. Assist - Cristian Calderón with a cross after corner. Corner - Atlas. Conceded by Óscar Murillo. Ían Torres - Atlas - won a free kick in defence. Substitution - Pachuca. Ángelo Sagal for Sebastián Palacios. Sebastián Palacios - Pachuca - receive yellow card for a foul. Lorenzo Reyes - Atlas - won a free kick in defence. Missed chance. Jefferson Duque - Atlas - shot with the head from the centre of the box goes high. Assist - Cristian Calderón with a cross. Omar González - Atlas - won a free kick in defence. Substitution - Pachuca. Francisco Figueroa for Pablo López. Substitution - Pachuca. Leonardo Ulloa for Franco Jara. Missed chance. Clifford Aboagye - Atlas - shot with right foot from the centre of the box is close, but missed to the left. Assist - Juan Vigón with a cross. Víctor Guzmán - Pachuca - won a free kick on the left wing. Missed chance. Jefferson Duque - Atlas - shot with right foot from a diffucult position on the right is close, but missed. Shot blocked. Juan Vigón - Atlas - shot with left foot from the centre of the box is blocked. Missed chance. Juan Vigón - Atlas - shot with left foot from outside the box goes high. Assist - Cristian Calderón. New attacking attempt. Leiton Jiménez - Atlas - shot with left foot inside of six yard box - left side is saved in the left corner. New attacking attempt. Ismael Govea - Atlas - header inside of six yard box - left side is saved in the top left corner. Assist - Cristian Calderón with a cross. Emmanuel García - Pachuca - receive yellow card for a foul. Ismael Govea - Atlas - won a free kick on the right wing. Franco Jara - Pachuca - won a free kick in attack. New attacking attempt. Erick Aguirre - Pachuca - shot with right foot from outside the box is saved in the top left corner. Assist - Franco Jara. Jorge Hernández - Pachuca - won a free kick in defence. Víctor Guzmán - Pachuca - receive yellow card for a foul. Cristian Calderón - Atlas - won a free kick in defence. Juan Vigón - Atlas - won a free kick on the right wing. Clifford Aboagye - Atlas - won a free kick in defence. Second Half starts Atlas 0, Pachuca 0. First Half ended - Atlas 0, Pachuca 0. Sebastián Palacios - Pachuca - won a free kick in attack. Óscar Murillo - Pachuca - won a free kick in defence. Juan Vigón - Atlas - won a free kick on the left wing. Offside - Atlas. Cristian Calderón with a pass, however Juan Vigón is in offside. Ían Torres - Atlas - won a free kick on the right wing. New attacking attempt. Víctor Guzmán - Pachuca - shot with left foot from outside the box is saved in the right corner. Assist - Óscar Murillo. Emmanuel García - Pachuca - won a free kick in defence. Cristian Calderón - Atlas - won a free kick on the left wing. Jefferson Duque - Atlas - won a free kick in attack. Lorenzo Reyes - Atlas - won a free kick on the left wing. Offside - Atlas. Omar González with a pass, however Ismael Govea is in offside. Óscar Murillo - Pachuca - receive yellow card for a foul. Víctor Guzmán - Pachuca - won a free kick in defence. Offside - Atlas. Ían Torres with a pass, however Juan Vigón is in offside. New attacking attempt. Ían Torres - Atlas - shot with right foot from the centre of the box is saved by goalkeeper in the centre of the goal. Shot blocked. Juan Vigón - Atlas - shot with left foot from the centre of the box is blocked. Assist - Ulises Cardona. Missed chance. Juan Vigón - Atlas - header inside of six yard box - left side is high and wide to the right. Assist - Ulises Cardona with a cross. Missed chance. Víctor Guzmán - Pachuca - shot with right foot from the centre of the box missed. Assist - Erick Aguirre. Corner - Pachuca. Conceded by José Hernández. New attacking attempt. Franco Jara - Pachuca - shot with right foot from outside the box is saved in the left corner. Assist - Pablo López. 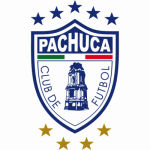 Erick Aguirre - Pachuca - hits the right post with a shot with right foot from the left side of the box.